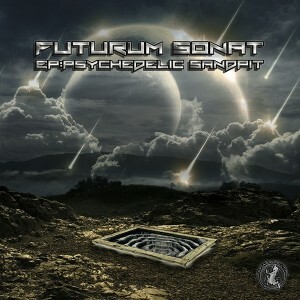 Psycana Records is proud to present Psychedelic Sandpit, the debut release from Futurum Sonat, a talented young producer from Austria. This rowdy collection of full-on songs is a teaser of Futurum Sonat’s forthcoming album, Psychedelic Playground, to be released in summer 2015 on this same record label. Mastered by Charly Bonat (Soundbüro) with design by Thomas Oberhöller (Orinocco). MP3 Download | FLAC Download | WAV Download · Download count: 4,772. Absolutely incredible release, ridiculously detailed and complex tunes. It reminds me of the some of the great cerebral prog that’s been coming out here lately like Sonopictorial and Remerged, although it’s a bit more hard hitting and fast paced. A lot more people should check this out!